Avatar - Die Legende von Korra How did Aang die?! It occurred to me that Korra is 17. That means Aang died 17 years earlier, and that meant it wasn't from old age. Aang was only 66, so what do you think happened? "Fifty-three years after the end of the Hundred Year War, Aang passed away. His hundred years of being frozen in a state of suspended animation in the Avatar State eventually weighed heavily on his body, as he had burned up some of his energy during that time." So he died at a younger age because of the time he spent frozen. Well, it was really old age, because Aang was actually '165', since he was 112 when he broke out the ice and 12 when he was frozen (he had been frozen for a hundred years). Just because his appearance didn't change, doesn't mean that his organs and such didn't age, hence why his body was unable to cope any more and he died. Maybe Aang's death will reveal itself in the series. I think it had to be a great battle between Aang and his friends fighting some powerful unknown enemies that wiped out not only him but most of his friends as well. In the Legend of Korra, not only did Aang die at a young age but Toph and Sokka was announced deceased too. Only Katata is left to tell the tale. That's what everyone thinks, but I just don't know. The whole "dying as a result of a battle" or something would be a great finish for Aang. If only it was something Yukone related. That would be epic!!!!! Well, Aang is a hundred years when he was in the iceberg.. so that is why he die - maybe that time he died, like, he is 200 years old? one day,i was watching an episode of legend of korra and korra was trying to communicate with aang through meditation. when she did,he admitted he was 40 when toph called him twinkle toes. he said "toph,i'm 40 years old,so will you stop with the nicknames?" or something like that. I hope it's going to say in TLOK. It's been killing me!!! "Another downside to the Avatar State is the considerable mental strain it can cause to less experienced Avatars. Prior to his tutelage under Guru Pathik, Aang would often leave the Avatar State feeling horrified at what he had done under its influence. 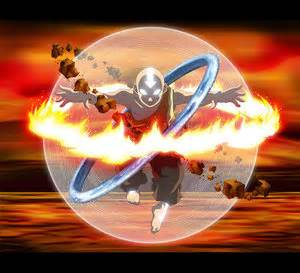 Furthermore, use of the state, at least in extraordinary circumstances, can place such a large physical strain on an Avatar's body such that their life span can be affected; thus, Aang's one hundred-year time in the iceberg contributed greatly to his eventual death at sixty-six years of age biologically, and 166 years chronologically." Quote from Avatar Wiki. Here's how he died. Aang died because he spent his time in the iceberg until he died 17 years ago , Aang was the last Avatar and then Korra was he's reincarnated one. After Korra next to her is Avatar Thoryn. It is uncertain at this point how Aang really died, it may be revealed in a future episode of Korra; we can tell that he was not really OLD when he died since the Avatars appear in the spirit world as they were when they died. Koruk, Kyoshi, Yan chen all died rather young, or middle-aged by their standards, but Roku lived a very long time and died when he was much older. When Aang appears to Korra, we see that he was not very old: he may not have lived to see his children grow to adulthood, but long enough to pass on his knowledge and skills of airbending and Air Nomad culture to Tenzin. I remember on the game welcome to Republic city korra said being in the iceberg caught up with him. He was i it for 100 years and was 112 in avatar. Even though he did not age he was old so he had a shorter life span. Aang died because he spent 100 years locked into the Avatar State inside an iceberg and under the sea. The price that Aang had to pay for being the Avatar and being able to go into the Avatar State was that his life would be shortened. It wasn't age...nor illness...nor dying in battle... it was because of the Avatar State. And I am 1000% positive because it says so on the website....and it makes sense. He died because somehow, he got frozen in Avatar State for 100 years. This eventually took toll on his body, as he had burned up some of his energy.Near end of his days he tasked the White Lotus to search for and watch over the next avatar. He died at the biological age of 66( physical 166 = 12+100+54).